A speculative scheme to refuel electric airliners from solar airships. The United States Navy airships U.S.S. Akron (ZRS-4) and U.S.S. Macon (ZRS-5) were designed for long-range scouting in support of fleet operations. Often referred to as flying aircraft carriers, each of the helium-inflated airships carried F9C-2 Curtiss Sparrowhawk biplanes which could be launched and recovered in flight, greatly extending the range over which the Akron and Macon could scout the open ocean for enemy vessels. Why am I telling you this fun fact about cutting-edge aviation technology in 1932? On the beach the other day, I came across an article in the regional newspaper Sur about a small Malaga company called MesurexÂ that makes software for in-flight refuelling. Catching the drogue at the end of the boom is still a severe test of pilot skill, but it’s becoming automated and easier. Which leads them to suggest that civilian airliners could also be refuelled in flight. Allowing nonstop flights from say London to Auckland, saving as lot of fuel. Their main customer is Airbus Military, so I assume they know what they are doing, and the proposal is technically credible. So I fell to musing about refuelling electric airplanes. They work. Airbus have flown, and plan to sell, a two-seater basic trainer. It’s not a flimsy tour de force like Solar Impulse, but a normal plane with batteries running an electric fan for propulsion. They are working on a commuter plane. The problem, as with electric cars, is range. If you can refuel planes in flight with kerosene, you can do it with electricity. The cable has to take a massive current for a fast charging rate. This could be a difficulty so let’s assume it away, like Leonardo, to get to the bit he would have liked. This is where I had my beach brainwave â€“ before the tinto de verano, not after. There is an infinite supply of electrical fuel aloft in the form of sunlight. All you need is a big area of solar panels to catch it with. For a plane capable of useful work, the available surface area isn’t enough. But an airship is big â€“ in fact the limitation on size is ground handling. You can add thin-film solar panels ad lib by towing them like advertising banners. A big solar airship is a possible airborne recharging station. 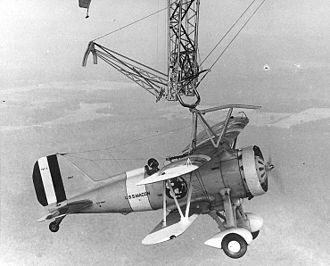 The US Navy showed in the 1930s that docking a plane with an airship is perfectly feasible. So an electric airliner could just dock to recharge? The snag here is matching the speeds. Dirigibles have such a large cross-section that the practical upper speed limit is, according to Wikipedia, about 160 kph. A Cessna takes off and lands at much less, around 100 kph. But modern commercial jet airliners need 250 kph. You could always redesign the airliners to have drastically lower stalling speeds, meaning bigger wings or biplanes. There would presumably be penalties for this in cruising speed and weight, so the numbers might not pan out. There is another solution, even more Leonardo-y. The giant airship is designed to stay aloft for months. You need a shuttle to ferry the crew and maintenance workers to and from the ground. So make the shuttle the refuelling intermediary. It need only bridge the speed range between the airship’s 150 kph and the airliner’s 250 kph, plus carrying the weight of the superbattery or capacitors (another assumed can-opener), which you remove for the ground runs. This is a design challenge, but a much narrower one. The Akron’s and Macon’s Sparrowhawks (max 284 kph) already spanned the speed range. The batteries would be too heavy? If you can get them on the airliner, you can put them on the airship or shuttle. So if electric planes are feasible, so is in-flight refuelling. Now tell me. Is this plan any more out to lunch than the USSS Akron and Macon? Both airships crashed, but through pilot error and designÂ flaws in the structure, not their aircraft complement. The line was discontinued because the airships were sitting ducks to enemy warplanes, not because the concept didn’t work. When radar came along, for which they would have been well suited, it was too late to rethink. 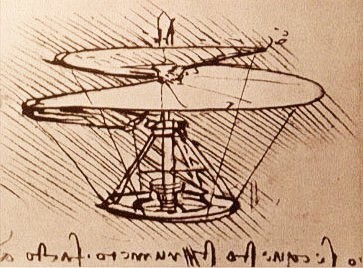 My scheme may not be workable, but it’s not a visionary fantasy like Leonardo’s wooden helicopter. The next post will be on something I know a little more about, which will not be a hard promise to keep. At 150 kph, New York to London is under two days; Why not forget the airliner, and just take the Zeppelin? A pity Agatha Christie never wrote a murder story set on a passenger airship. It's as good a closed world as a train or ship, plus you get the views, wicker furniture and G&Ts served by obsequious waiters. What with it being Saturday, let me suggest this Saturday afternoon matinee for you: Master of the World. I should be clear: I'm quite serious that I think there should be a lighter than air passenger craft revival. If it can be done cheaply enough to make 2-3 days flight cheaper than 20 hours in a jetliner. Time is money, sure, but the tradeoff is different for different people, and quite a few people are currently driving huge distances because it's cheaper than flying them, even with an overnight hotel stay. We could use a cheaper safe long distance travel option. Such innovations all require aviation to stop enjoying its absurd exemption from the excise taxes that other users of liquid fuel have to pay. That's before we start levying a reasonable carbon tax. I assume that Brett's airships can very easily be made essentially electric using current technology, or that foreseeable a few years ahead. You can already buy pv fabrics. You mean, the taxes that are supposedly meant to pay for the roads *aviation doesn't actually use*? The pseudo-earmarking of gasoline taxes for roads is SFIK an American quirk, so the international tax break can't really be attributed to it. Alcohol excise taxes aren't earmarked for prisons and rehab clinics. That's true; Internationally, they tend to think, "You've got money, we've got guns. Why do we need an excuse?" is good enough. I'll grant the honesty is admirable. Yes, I'd say that airships could easily be made electric, even solar electric. The scaling is much more favorable for airships than for winged aircraft. I don't really see a way around this. Am I wrong? Used to be that you couldn't have flown something like a quadracopter, either. It's amazing what you can do with a good control system employing active stabilization. That is obviously one of the problems that needs to be solved. Structurally, they're capable of handling the wind loads, the real issue is stability near the ground during gusts. I think that's solvable, using multi-line mooring. A speculative engineering suggestion: I suspect it would make more sense to move the batteries between the airship and the airplane, rather than charging the batteries–it would not require as much time in contact, and you'd lose less power to charging heat (since your changing form once–solar to battery–rather than solar-battery-current-battery). Lithium-ion batteries are 80%-90% efficient over the charge/discharge cycle. Manhandling tons of batteries in mid-air must be very much harder than using a cable or hose. Battery swapping is however an attractive option for long-distance heavy trucks, which have flat areas under the chassis easily adaptable for battery packs, and a very large demand for current for quick recharging: perhaps a megawatt for a Tesla-speed charge. Wireless high power transmission using microwaves is well proven. Experiments in the tens of kilowatts have been performed at Goldstone in California in 1975 and more recently (1997) at Grand Bassin on Reunion Island. These methods achieve distances on the order of a kilometer. A kilometer looks a reasonable safety distance for flying in a circle round the dirigible. We would need to up the power by an order of magnitude. A stationary ship like that would still have to be huge. 1. Airlines are probably going to want to run waves ("banks" in industry parlance) of flights, meaning there will be a huge peak demand. I'm pretty sure they'd resist forced spreading out around the clock. It seems like the airline industry hardly ever reverts to an earlier scheduling practice, just think of how few domestic widebody flights there are nowadays; they went for frequency. So too many planes in the same space might be an issue. 4. On one hand, there are foreseeable meteorological/atmospheric issues. On the other, there are unforeseeable issues with mankind's creations. How could the station deal with declared emergencies? And that's not just with aircraft declaring emergencies, the station going offline would be extremely problematic. Presumably, ETOPS would have additional considerations, unless the rules were basically that an aircraft always had to have enough to get to the next station. Maybe there could always be tandem stations, 50-100 miles apart. Cool idea, long way to go. Maybe a few centuries (if surface or subterranean doesn't cross the finish line first). Partly because aircraft will still only be using a small fraction of the petroleum products that roadway vehicles will be burning for decades still, but mostly because the technological leap is so immense, and they won't do it without being able to demonstrate a similar level of safety. I actually like the proposal to run jets electric by tracking them from the ground with microwave beams. You can connect the transmitters to the grid, and at altitude, the transmitters can be spaced out quite a bit. And you're pointing the microwaves up, not down, which is good. Doesn't work for trips over the ocean, though, without considerably greater expense. Brett: This great invention called a ship has been around for 40,000 years. (The first settlers of Australia must have come by sea, with their hunting dogs.) Ships can also be built more or less any size and can be linked to large floating solar farms and wind turbines to supply the power. Philomath: Airbus build civilian airliners. Their electric trainer must meet full safety certification for the category. Electric motors and batteries are simpler and safer pieces of equipment than jet engines and tanks of highly combustible fuel. I admit that in-flight refuelling poses safety challenges. Yeah, sure, you can do that. And it will cost considerably more than mounting the occasional microwave transmitter array on existing power line routes. Feasible, yes. Economical? Maybe not. But I think the market for airliners that can't cross oceans might be limited, even if they were cheaper over land, so you probably do want a system that can handle both economically. Cool. Had to look it up for myself. If power storage technology does catch up to Jet A fuel more quickly than I'm imagining, then the challenges seem to be landing weight and having enough lithium in the world.